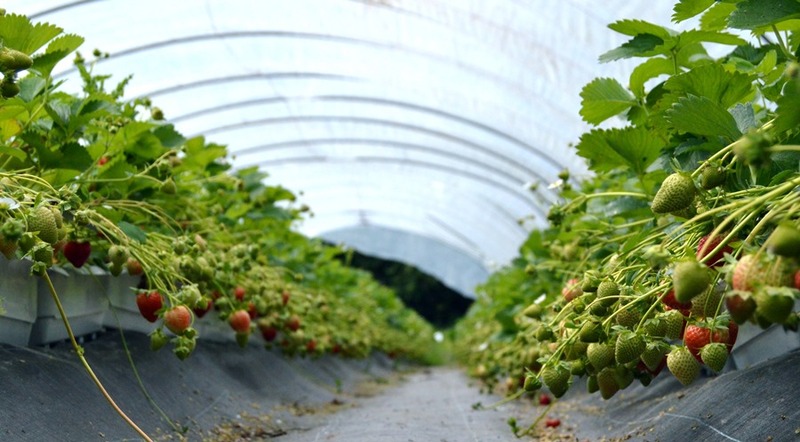 A growing crop of Red Tractor assured strawberries. Fresh produce grown on Red Tractor assured farms is to be recognised as equivalent to two major food assurance schemes, Tesco’s Nurture scheme and Global G.A.P. Tesco has announced that from the beginning of April 2018 it will recognise Red Tractor’s standards as equivalent to its Nurture scheme, which is estimated will benefit about 800 Red Tractor assured fresh produce growers supplying Tesco. International assurance body Global G.A.P. also confirmed that as a result of its own benchmarking exercise the requirement for a further farm assessment has been removed. According to Red Tractor Assurance, the development is significant for UK growers who export fruit and vegetables abroad using the Global G.A.P. scheme, as they will no longer require an additional audit on top of their Red Tractor assessment. Both announcements follow the introduction of a strengthened set of Red Tractor scheme standards which came in to force on 1st October. Red Tractor’s chief executive Jim Moseley, commented: “Tesco, Global G.A.P. and Red Tractor have been working in collaboration for some time and I am absolutely delighted our fresh produce standards will be recognised in this way. A simplified Global G.A.P. process is expected to streamline audits and reduce costs for growers who wish to export in the future. “The Red Tractor Assurance for Farms Fresh Produce Standards were the very first to be benchmarked by Global G.A.P. 15 years ago.